David Jon Gilmour was born on 6th March 1946, in Cambridge, England. He is a musician who became famous performing with the rock band Pink Floyd, with whom he has been the lead guitarist and co-lead vocalist for more than 40 years. So just how rich is David Gilmour? His net worth is estimated by authoritative sources at $130 million, the money having been made from his career in the music industry which began in 1962. 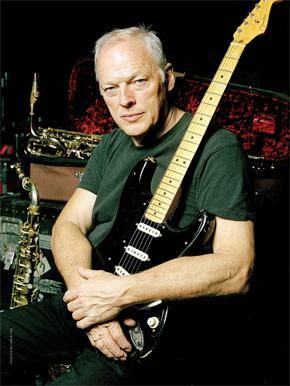 A large part of Gilmour’s wealth is the result of his performances with Pink Floyd: the band has sold more than 250 million albums worldwide over the years, which translates into more than $260 million., however, other noted contribution come from being a solo artist, with other bands, two music-related companies he owns, and his interest in aviation. Additionally, David Gilmour owns four properties, which include a $4.6 million house in West Sussex and a villa in Greece. He also had a house in Little Venice, London, sold for $5.5 million (£3.6 million), money which he donated to the charity. David Gilmour had a passion for music since childhood, and spent all his school years practicing guitar. While being a student at Cambridge Technical College, he met Syd Barrett and Roger Waters, with whom later in his life he was to perform in Pink Floyd. He quit college in 1965, and spent several years travelling around France and Spain, playing the guitar in pubs together with some friends. In 1967, Gilmour received an offer to play with the Pink Floyd and became the fifth member of the rock band. One year later, Barrett left Pink Floyd and David Gilmour started performing most of the lead vocals. The band has released 15 studio albums, three live albums, and eight compilation albums, most of them becoming gold and platinum in the UK, France, US, Germany, Australia, Austria, Norway, and Sweden. He wrote songs for most of the albums, including “Animals”, “The Wall”, “Dark Side of the Moon”, and “The Division Bell”. He has produced several Pink Floyd albums over the years, including the band’s last compilation album. The musician is also a solo artist and is known to own two companies, David Gilmour Music and David Gilmour Overseas, which brought him, between 1988 and 1999 alone, more than $55 million, significantly adding to his net worth. He also adds to his net worth from DVD sales, concerts, tours and royalties, and also produces for his rock band and other known artists, including Elton John, Kate Bush, Eric Clapton, Paul McCartney, Tom Jones, Berlin, Seal, John Martyn, B.B. King, and Bob Dylan, which has added more to his net worth. From the ‘70s, David Gilmour started focusing also on his solo career. He registered his first solo album in 1978, called “David Gilmour”, which was followed by “About Face”, in 1984, “On an Island”, in 2006, and “Rattle That Lock”, in 2015. Together with the fourth album, the musician started the “Rattle That Lock” Tour in Europe and has announced he will be touring in the US in 2016. The musician also owned Intrepid Aviation, a company he created because of his passion for historical aircraft. He sold it once it became more a business than a hobby. In his personal life, David Gilmour married Virginia “Ginger” Hasenbein, in 1974, and they had four children before divorcing in 1990. In 1994, the musician married Polly Samson and they also have four children. The artist and his wife donate about $1.5 million (£1 million) a year to charity, supporting numerous organizations, including Greenpeace, The Medical Foundation for the care of Victims of Torture, Shelter, Prisoners, Amnesty International, Abroad, and Environmental Investigation Agency.